A Health Passport is a booklet that you can carry with you when attending hospital appointments or meeting with other providers of health and disability services. It contains information about how you want people to communicate with you and support you. The Health and Disability Commissioner (HDC) is working with District Health Boards (DHBs) throughout New Zealand to introduce the Health Passport into our hospitals. Complete it as soon as you receive it (don’t wait till you have to visit a hospital). Keep it safely with your other medical records (with your medical file or other paperwork that you may take to a hospital). Remember to take it with you every time you visit a hospital. 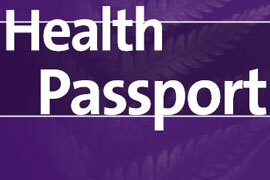 Inform reception staff that you have a Health Passport when you go to a hospital. Keep your Health Passport close to your bed at all times when in the hospital. Remind all hospital staff who work with you to read the Passport. Remember to take your Passport with you when you return home.